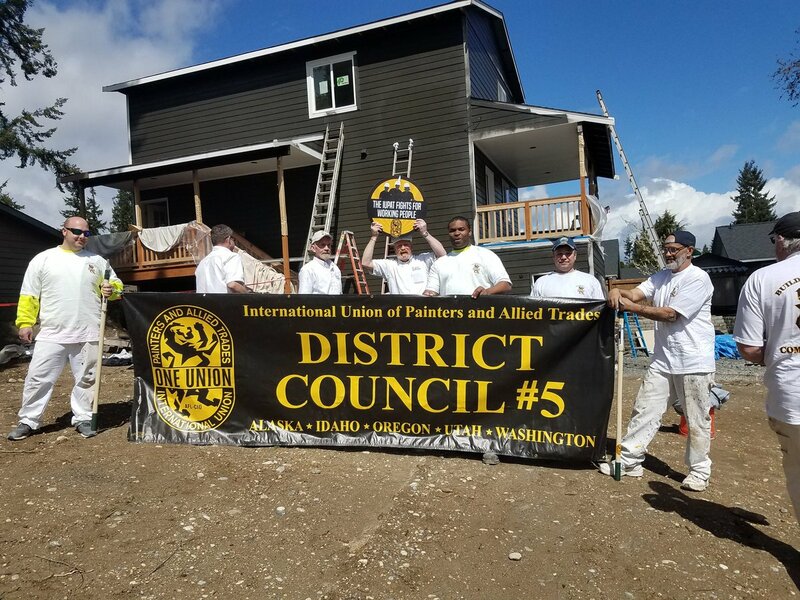 In May, members of District Council 5 volunteered their time and expertise to renovating a home in Everett, Washington. This project was a joint effort between DC 5 and Habitat for Humanity. More than 10 volunteers from DC 5 worked together to paint the interior and exterior of the home. By the end of the day, all painting was complete. The family who is set to move in was very thankful. District Council 5’s volunteers worked quickly and efficiently to finish painting the house. District Council 5 also worked on a house in Portland, Oregon. 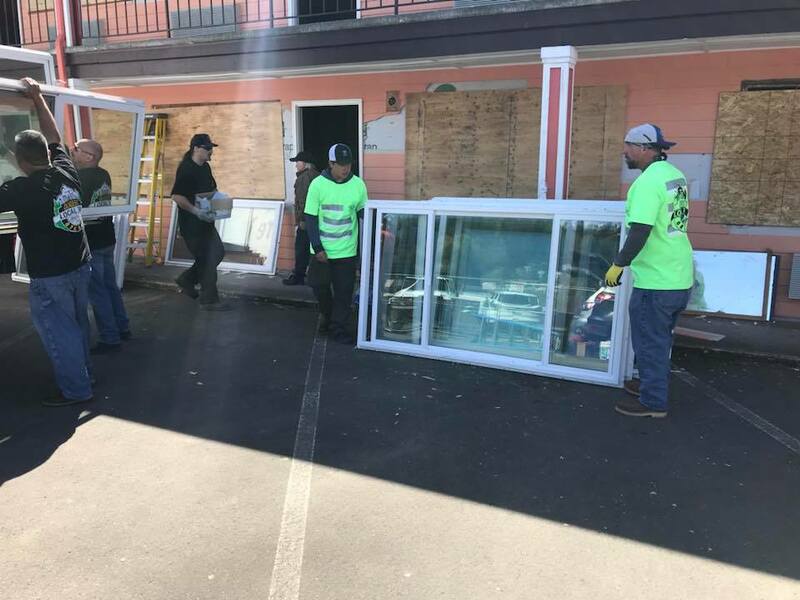 Glaziers from Local Union 740 removed the old windows in preparation for the delivery of new windows. Once renovations are complete, the house will be occupied by a single mother and her two children. Habitat for Humanity along with volunteers from Local Union 740 worked hard on removing and replacing windows on a renovated home.